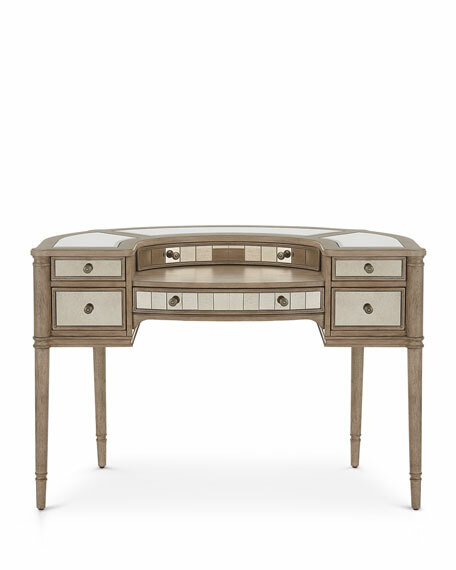 This Writing Desk features six drawers accented antiqued mirror. 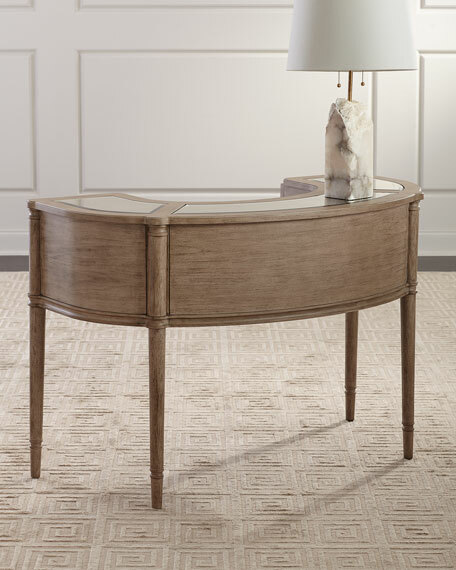 Finished in light sand and with turned pilasters and tapered legs. 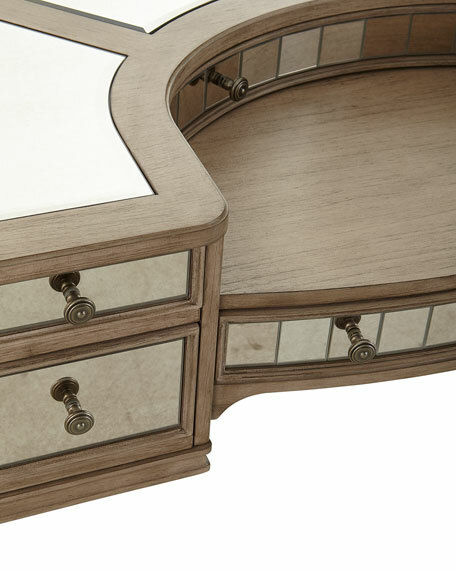 Handcrafted writing desk with inset antiqued mirror details. 30"W x 16"D x 55"T.
Boxed weight, approximately 119 lbs.